Edward Quartermaine (the late John Ingle) must be rolling in his grave. First Tracy (Jane Elliot), Alice (Bergen Williams) and Skye (Robin Christopher) offered up their ELQ shares to help Luke (Anthony Geary) on General Hospital; now Ned (Wally Kurth) is set to trade his shares in exchange for Franco&apos;s (Roger Howarth) silence! Ned/Olivia/Franco/Julian/Alexis: Next week on GH, Ned will offer up his 11.5 percent stake in the family company to keep Franco from ratting out the true paternity of Olivia&apos;s (Lisa LoCicero) unborn child to mobster baby daddy Julian Jerome (William deVry). So much for caring about one&apos;s birthright. Don&apos;t be surprised if Alexis (Nancy Lee Grahn) somehow manages to get roped into the shenanigans. Luke/Sonny: The former BFFs finally have it out over Luke going rogue and trying to take down Sonny&apos;s (Maurice Benard) organization. Will Sonny buy what Luke is selling? Luke/Bobby/Scotty: Despite all the unspeakable things he&apos;s done, Bobbie Spencer (Jackie Zeman) still has her brother&apos;s back! Watch for her to implore Scotty (Kin Shriner) to show Luke mercy. Sabrina/Michael/Kiki/Morgan/Dante: Will Port Charles&apos; own Maria Poppins figure out what caused her employer&apos;s "drunken" baby stroller incident? Look for Sabrina (Teresa Castillo) to start investigating what happened with Michael and Baby AJ. Could her snooping spell trouble for Morgan (Bryan Craig) and Kiki&apos;s (Haley Erin) skeevy plan? Bree-Bree won&apos;t be the only one sniffing around for dirt about the baby&apos;s situation. Cop big brother Dante (Dominic Zamprogna) also wants answers. Silas/Ava/Nathan: Don&apos;t expect Ava (Maura West) to write Michael any glowing reviews on babysitting site Care.com Avery&apos;s ailing mother will be devastated by what&apos;s taking place back home in Port Charles with her infant daughter. As if Michael knocking Avery out of a stroller isn&apos;t bad enough, Ava&apos;s cancer is progressing at a rapid pace. Will Silas (Michael Easton) finally give in to her pleas for a mercy killing? Expect Detective Nathan West (Ryan Paevey) to get suspicious about all the time his ex-bro-in-law is spending in the Big Potato. 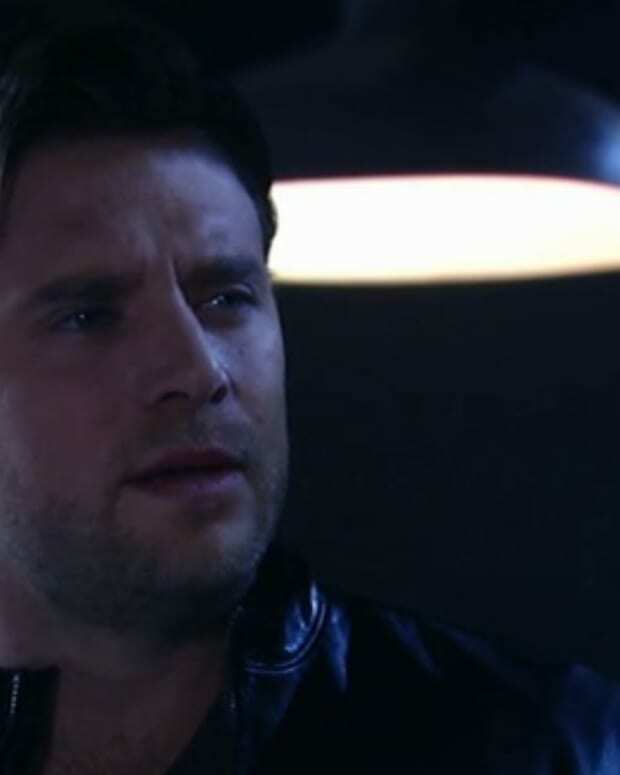 Maxie/Spinelli/Nathan: Nathan doesn&apos;t spend all of his time in cop mode. Next week just might prove a turning point in his battle with Geek God Spinelli (Bradford Anderson) for the heart of Maxie Jones (Kirsten Storms). Nikolas/Hayden/"Jake"/Liz/Ric/Carly: There&apos;s more to Hayden (Rebecca Budig) than being a Tinder-advertising faux wife for hire. Ms Thang has secrets and Carly (Laura Wright) is determined to find out what they are! Nikolas (Tyler Christopher) is enjoying schtupping the scheming newcomer, but a shocking discovery could make the newly-dark prince reevaluate a few things. Meanwhile, Ric (Rick Hearst) will continue to make inroads with Liz (Rebecca Herbst). Lucy/Duke/Anna: Lucy (Lynn Herring) has a come to Jesus meeting her with pal Duke (Ian Buchanan). Can she help him see the light about his current sitch with Anna (Finola Hughes)? Speaking of the former Tango partners, you&apos;d have to have been living under a rock not to see all the rumors concerning a potentially deadly end to their love story. Let&apos;s just say this May Sweeps on GH could easily be sponsored by Kleenex!